As the airlines have cut the number of seats they sell and make it harder for everyone but their very best customers to get upgrades to premium cabins, it's a lot harder to make the leap -- but not completely impossible. It can happen with a mix of luck, frequent flyer status, higher-priced tickets that are easier to upgrade, or a need to accommodate other passengers. Any of these factors can change on any given day or even a flight. 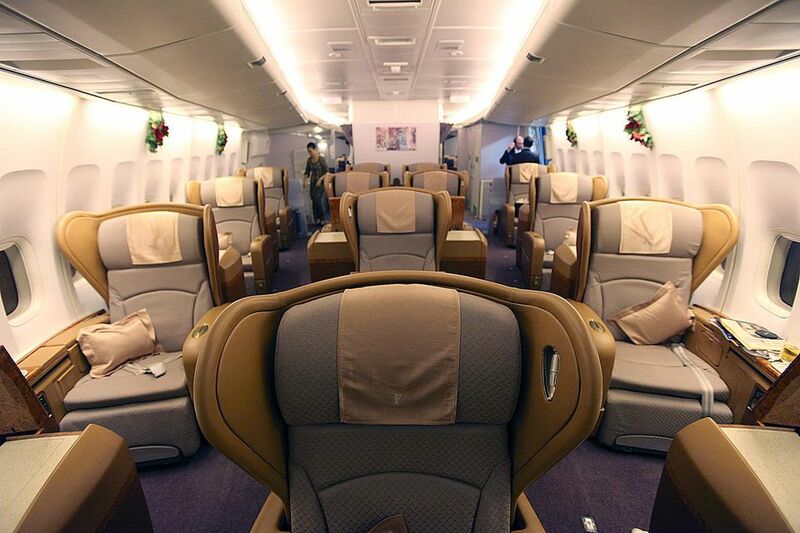 So below are 10 tips that may help boost your odds of getting into the premium economy, business, or first class. Have at least Gold status in an airline's frequent flyer program, which gives you certificates that can be used for upgrades. Travel with a companion that has top status who can give you an upgrade certificate. Hope that a flight is oversold in coach but may have seats up front that they give to frequent flyers as a courtesy upgrade. If you can afford it, buy a full-fare ticket. There may be a miracle that will allow for a courtesy upgrade. If you travel on an empty flight where weight and balance could be an issue, an airline may require some passengers to be upgraded for proper flight balance. If you are a top tier member of a partner airline's frequent flyer alliance -- Oneworld, SkyTeam, or Star Alliance, and traveling on an oversold flight you will likely have more potential for a courtesy upgrade. If a flight is oversold and you are an infrequent traveler on a cheap ticket, volunteer to give up your seat. As you negotiate compensation for the next flight, ask for an upgrade on the new flight and access to the airline lounge. Again, if a flight is oversold and you are traveling alone, then dress in business attire and set off on your own, but in the sight line of the airline agent at the gate. Sometimes they may need to upgrade a passenger or two at the last minute, and a well-dressed, solo traveler is easier to upgrade than one wearing sweatpants and sneakers. If you ultimately don't care where you sit on a flight, then don't pre-book your seat on an oversold flight. Instead, check-in closer to departure time. You may end up with a middle seat, or one up front. This is a really risky strategy, as gate agents will try and upgrade frequent flyers and higher-priced ticket holders first. A smile goes a long way. If you are nice as possible to the check-in and gate agents and if a flight is oversold, they may put a comment on your passenger record such as "nice passenger if you need to upgrade." What you should NOT do under any circumstances is ask a ticket counter agent for an upgrade, especially if said agent is dealing with an oversold or problem flight. And especially don't ask if you don't have status on the airline. And once you get to the gate, don't bother those agents with upgrade requests. Most larger airports have gates with screens that show where travelers are on an upgrade list, and most times, the premium cabins check in full. It's better to assume that if your airfare does not entitle you to an upgrade, you probably aren't going to get one. It may happen every once in a while but not often enough to have surefire ways to get upgraded for free every time you travel. These small upgrades make you feel like you're sitting in first class. These Things Will Definitely Get You Removed From Your Flight.